Acacia is a fast-growing evergreen tree from Australia that is prized for its resinous hardwood. Acacia wood, also known as monkey pod wood, is often used to produce fine furniture and tableware. Just like any natural wood, acacia wood maintains its attractive appearance for much longer when given proper care. Whether you're caring for acacia furniture or tableware, they are ways to keep your acacia wood looking its best. Avoid placing acacia wood furniture in direct sunlight, as the sun's ultraviolet rays can cause the wood to dry out. Position acacia patio furniture underneath an umbrella or canopy to minimize damage due to sun and rain. 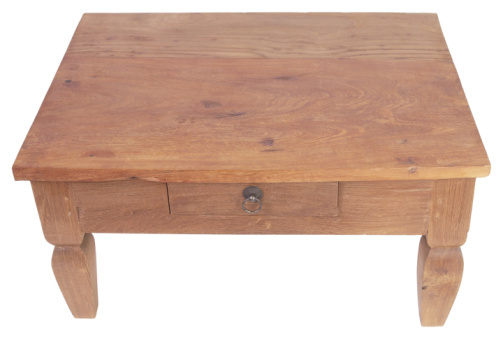 Clean spills from acacia wood furniture with a soft cloth moistened with warm, soapy water. Dry the furniture with a second soft cloth or allow it to air-dry. Rub the acacia wood furniture with a furniture wax or wood preservative product immediately after cleaning. Apply the wax or wood preservative according to the instructions found on the product label. Apply additional applications, as needed, to restore the shine of the wood. Wash acacia wood tableware in warm, soapy water immediately after use. Rinse it under warm running water. Use a soft cloth to dry the tableware by hand, or place it in a dish rack to air-dry. Polish acacia wood tableware with a nontoxic mineral oil immediately after cleaning. Wait for the oil to soak into the tableware before using it again. Store your acacia wood tableware in a cool, dry location when it is not in use.